GREATER OMAHA CHAMBER REPORTS CONTINUED MOMENTUM! According to an article in the recent Midlands Business Journal, Omaha netted nearly 11,000 new jobs versus one year ago. The article also mentions significant increase in development concept plans being submitted for pre-application review. The Economic Outlook Survey results appear to show expectations of the same or increase business activity for the next year. This contrasts their feelings about the U.S. economy as a whole. This information continues to support the feeling that Omaha is on an upswing that will benefit businesses in the near future. Another reason why owning property in Sarpy County is a great Investment! Papillion, NE ranked number one on Livability.com’s Top Small Towns list for 2012. The criteria included 500 towns which have less than 25,000 residents. The keys included places that offer a relaxed lifestyle with beautiful scenery, cultural amenities, great restaurants and lots of outdoor activities. This is great for the economy of Papillion as well as all of the surrounding suburbs. Sarpy County continues to grow and the real estate, land, and new developments are just a piece of what makes this area sought after! Year End Tax Questions –Make a plan to visit with your advisors! If you are a business person with an annual tax planning review in mind prior to the end of the year, there are assets you own that may be greatly impacted by the pending tax law changes. Capital gains and the related tax rates are set to change automatically after year end if Congress does nothing to change what is in place. Your ownership of assets such as stocks and real estate may have large unrealized gains that would be subject to favorable income tax rates this year if you complete a sale prior to December 31, 2012. This assumes that a tax law passed in 2013 will not be made effective retroactively to the prior year. Bottom line is you should be talking to your tax accountant or attorney to review what the impact of this decision may be. There are other provisions that are pending with regard to tax rates that will also make it worthwhile to do some pre-planning now! 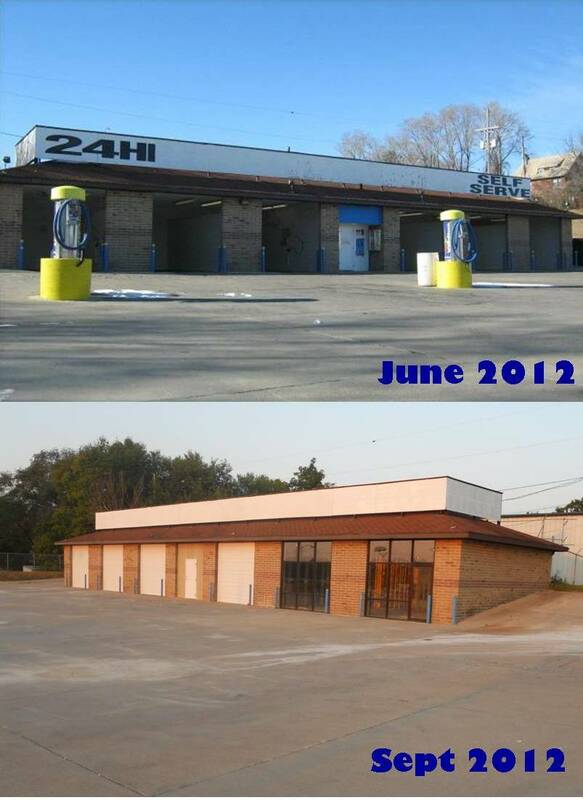 In June 2012, the property at 4012 N. 72nd was a car wash; today you can see the progress that has been made to renovate this property into a single-user commercial space. A good cleaning to the space and signage and parking area improvements has greatly enhanced the look of the property. Adding a few over head doors and some sparkling glass windows has now converted the property into a vision many would have never thought possible. Interior framing is currently underway and this renovation project is expected to be complete in the next 30 days. This project is a great example of the ability to think beyond what is there presently. The property is in a great location and just a few minor improvements provide many options for the next user/owner of the property. PropertyBanc can help you find or create your business’ home! You are currently browsing the Commercial Real Estate Blog blog archives for September, 2012.